CTI Electronics Corporation offer custom enclosures and options for your specific applicaion or system integration. 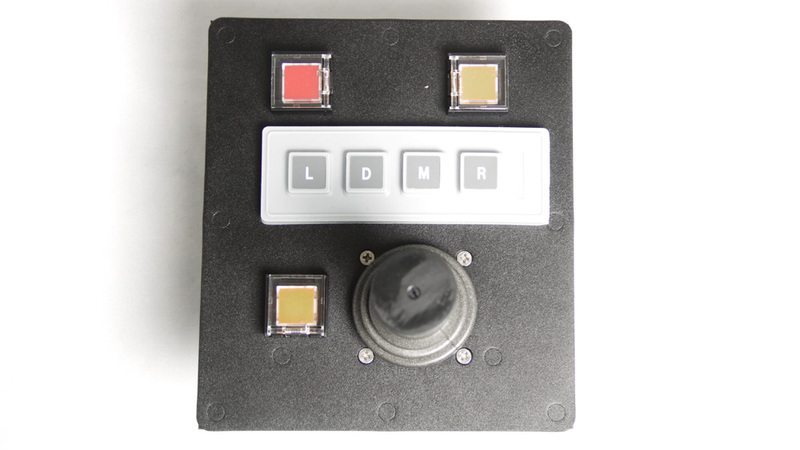 These Custom panel mount joysticks are built for military applications and rugged enough to withstand harsh environments, high vibrations, and, resitances to EMI and RFI. These precision control industrial joysticks feature an aluminum-coated knob and a non-contacting design, which ensures a much longer lifespan than other types of joysticks. These analog industrial joysticks are extremely precise, highly reliable, rugged, drift-free, and rated to 10 million operations. With the smallest footprint and below-panel depth in its class, the F1000 Series truly sets the standard for industrial-grade miniature joysticks. High-quality design provides an excellent feel, which is very responsive to touch and more user-friendly than a touchpad. 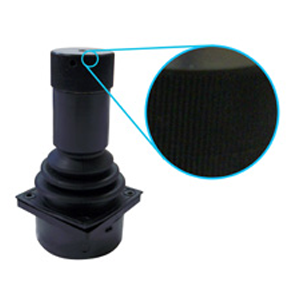 CTI's OEM joysticks are NEMA 4 (IP66) sealing and offer the following options; protection from extreme operating temperatures, protection from EMI, and a redundant safety feature. These rugged joysticks are ideally suited for harsh environments, precision instruments, and restricted spaces (e.g. wheel chair joysticks). 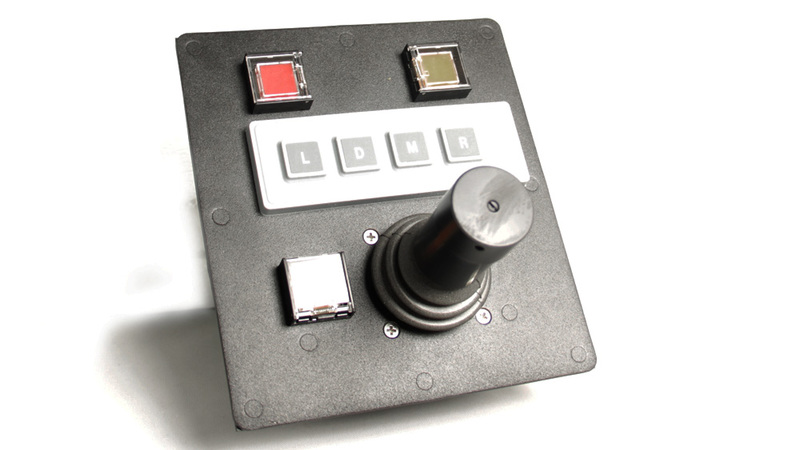 CTI's OEM industrial joysticks are also available as USB FlightSticks, a.k.a. sidewinder joysticks. 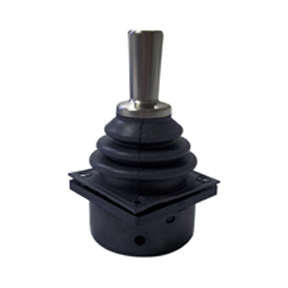 CTI's 3-axes industrial joysticks (F Series joysticks) feature a 5k potentiometer with a rotational life of 20 million. Their non-contacting design ensures a much longer lifespan than other types of joysticks. These analog industrial joysticks are extremely precise, highly reliable, rugged, drift-free, and rated to 10 million operations. With the smallest footprint and below-panel depth in its class, the F1800 Series truly sets the standard for industrial-grade miniature joysticks. High-quality design provides an excellent feel, which is very responsive to touch and more user-friendly than a touchpad. 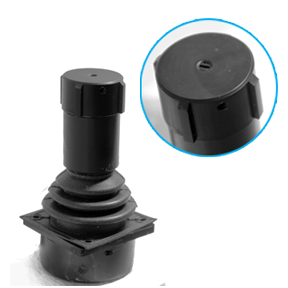 CTI's OEM joysticks are NEMA 12 (IP54) sealing and offer the following options; protection from extreme operating temperatures, protection from EMI, and a redundant safety feature. These rugged joysticks are ideally suited for harsh environments, precision instruments, and restricted spaces (e.g. wheel chair joysticks). 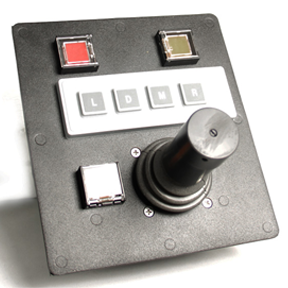 CTI's OEM industrial joysticks are also available as USB FlightSticks, a.k.a. sidewinder joysticks. The F1000 Series RS-485 Joysticks are used as motion controller devices (USB Joystick a.k.a. sidewinder joystick or flight simulator) allowing up to three axis of control with up to eight user-defined button functions. Using a Windows Operating System with the Microsoft HID Driver Interface an Application Developer can quickly implement a motion control application. The USB FlightStick (flight simulator) is an industrial motion controller that offers real-time response rates with pin-point precise accuracy for a broad range of application possibilities. These industrial motion controlllers are ideally suited for harsh environments, precision instruments, and restricted spaces. A few of the industries benefiting from the USB FlightStick are aerospace, automotive, medical, homeland security, surveillance, and military. When mounted to a panel, the USB FlightStick assembly provides NEMA 4 (IP66) sealing. 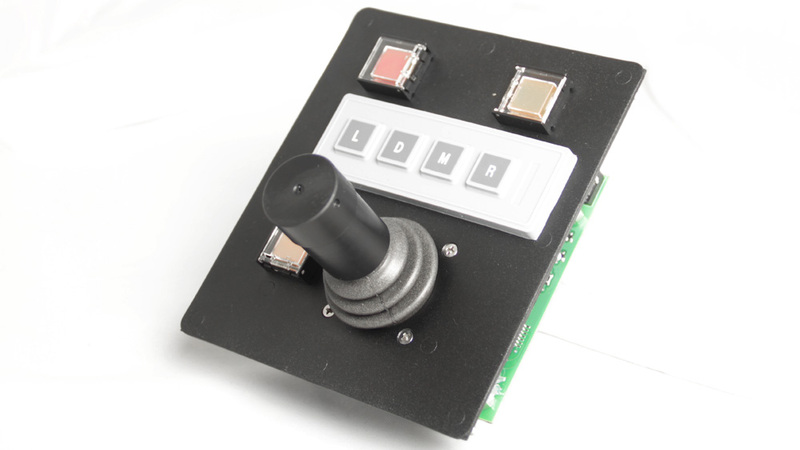 The USB joystick only requires a 1.65 inch square footprint and 7/8 inch depth for the handle.� The interface PCB and switch assembly can be located in any position relative to the joystick handle. These rugged motion control devices can easily be interchanged with one of ten knob options including one, two, or three axis joysticks.� A few of these USB Joysticks have one or two NEMA 4 (IP66) sealed "point and click" buttons in the handle for easy switching or selection of control. The switch assembly is molded silicone with 2mm travel and has gold over nickel contacts for both tactile response and reliability. When mounted to your panel, the motion control device assembly provides NEMA 4 (IP66) sealing. Options include joystick knob selection and custom length cables or special wiring as required.